On Wednesday 29th November, our KS2 School choir took part in the Christian Aid Big Christmas Sing at the beautiful Oxford Town Hall with a host of other local primary schools. Each school performed a Christmas song and then joined together to perform more songs as a massed choir finale! Great Milton C of E Primary School sang Jingle Bell Dash, and then Little Town and Rockin’ Robin. Our very own Lizzie in Y5 sang the opening verse of Once in Royal David’s City as a beautiful solo, which was very moving! Our fledgling choir was amazing- we were so proud of them. We had a fabulous afternoon of rehearsals, getting to know our other local schools and we even managed an impromptu busk in the town square, creating a small crowd gathering and applauding our last minute rehearsal! Throughout it all, we were remembering what this event was all about and thinking of those less fortunate than us at Christmas. 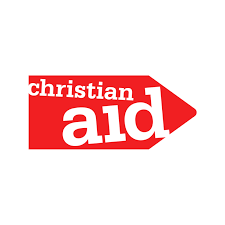 The week-long event raised over £9000 for Christian Aid, something we are delighted to have been a part of. The choirs were accompanied by musicians and instrumentalists from the Oxford Music Service and Youth Orchestra.